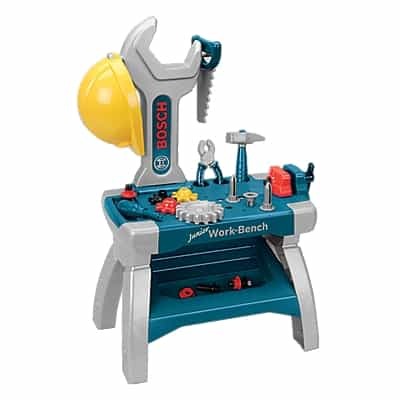 Save 50% on the Bosch Junior Toy Workbench, Free Shipping Eligible! The Bosch Junior Toy Workbench is on sale for $29.99 at OneStepAhead.com today only. That's 50% off the regular price of $59.95! Shop the One Step Ahead sale section for more great deals for babies', toddlers', and kids' toys, clothing, gear, home furnishings, and more. Standard shipping is free on orders of $85 or more when you checkout with One Step Ahead promo code: SHIP85. This promotional price is valid for today (3/6) only or while supplies last.